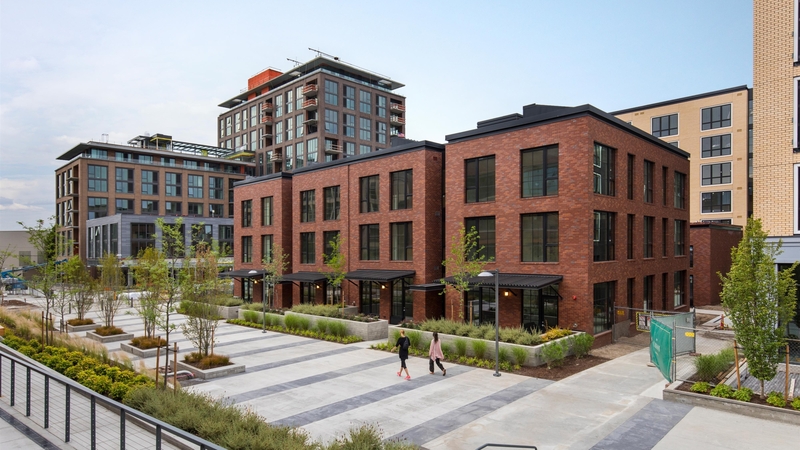 The Carson (Blocks 294E and 295E) are the latest additions to Northwest Portland’s newest neighborhood. The Conway Blocks were once a large corporate headquarters surrounded by an ocean of surface parking. Gradually, this area is transforming into a walkable neighborhood with vibrant local retail, urban living, open space, and hidden parking. 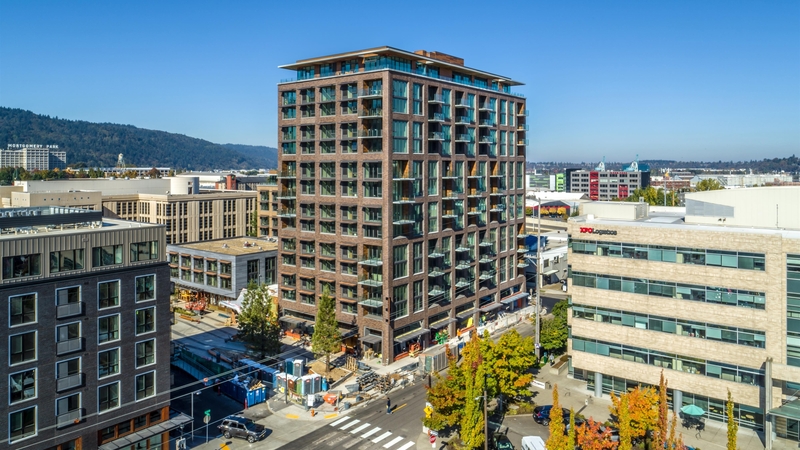 Following the opening of the New Seasons Market and the LL Hawkins Apartments in 2015, the construction of Block 294E and Block 295E brings two new mixed-use residential buildings with curated ground floor retail and two levels of underground parking. The 14-story Block 294E houses 224 apartments over ground floor retail. 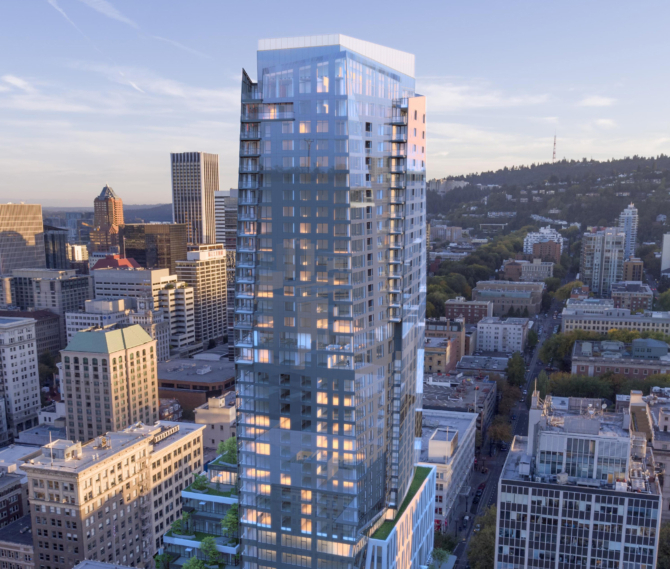 Block 295E is a six-story, 5-over-1 “L” shaped mixed-use building that provides 161 apartments. 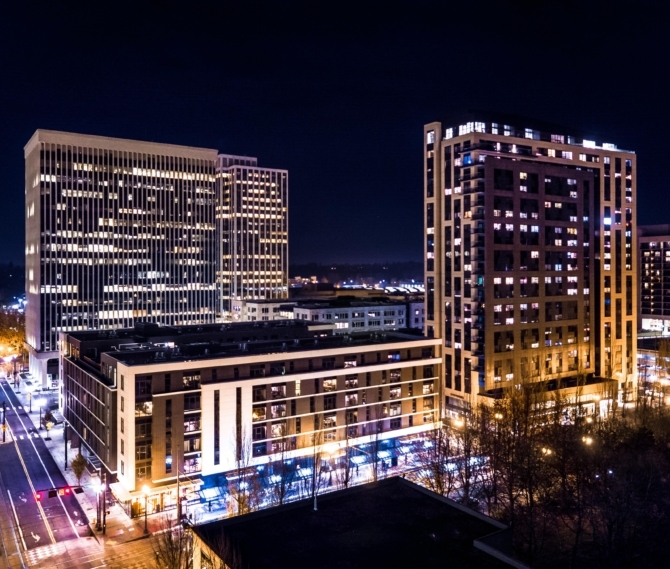 The buildings are appropriately scaled to the neighborhood with well-articulated facades that offer diversity in volume and form along the street edge. Exterior building materials are primarily brick, natural wood, with accents of concrete, glass, and metal. A continuous underground parking structure that flows beneath both blocks provides parking for approximately 600 cars and 500+ bikes. The development features substantial public space. 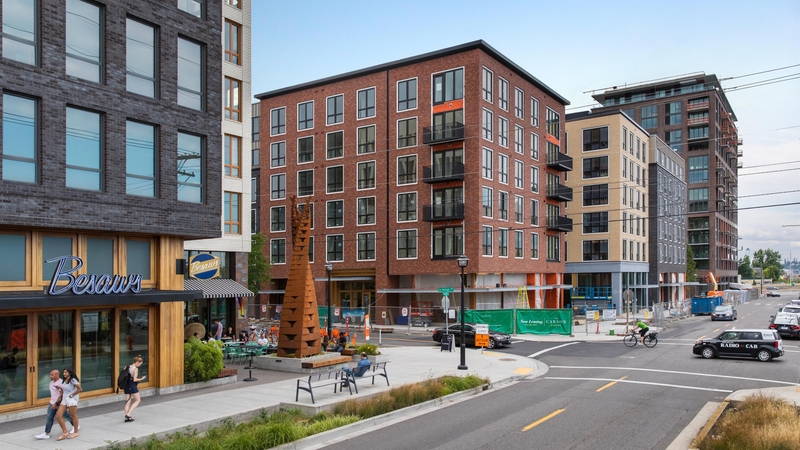 Together, these two blocks provide 44,750 square feet of accessible open space (37% of the overall site area) to create a distinctive identity for the neighborhood and areas for accessible community gathering. 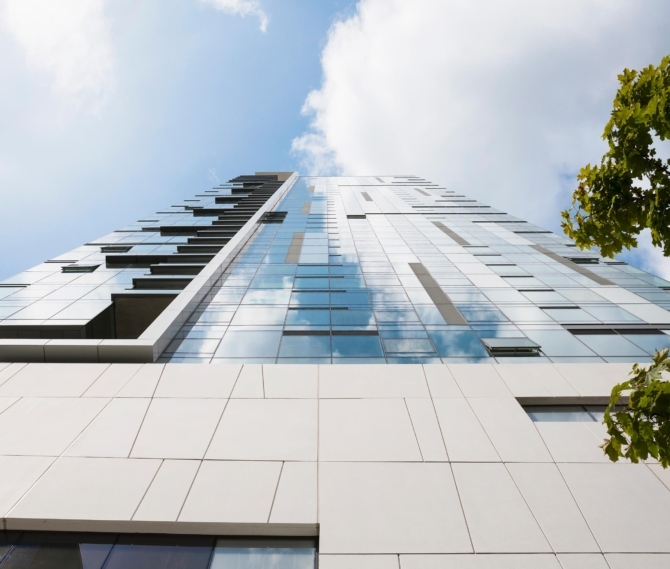 GBD is the lead designer and Architect of Record on Block 294E. 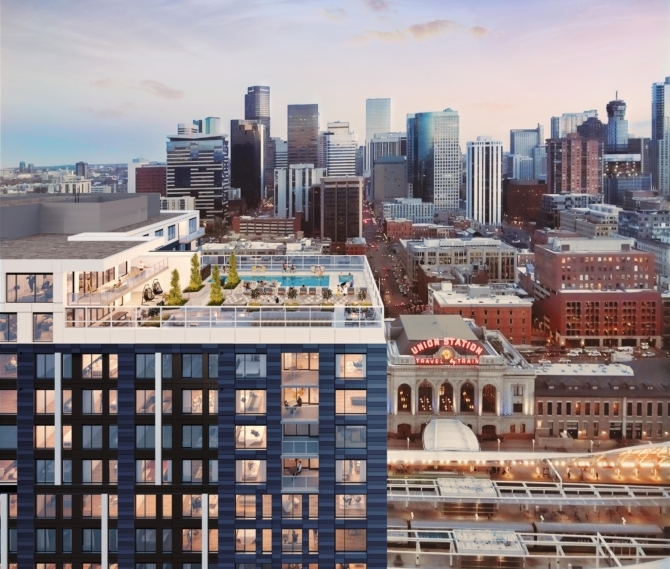 GBD partnered with Jones Architecture for the initial design of Block 295 through Design Development. GBD has led Construction Documents through construction.